At our company, we understand that most new drivers are nervous or apprehensive about driving lessons. That's why we treat each person individually and sympathetically, doing our best to make you feel calm and at ease. We offer supportive, one-to-one tuition to clients of all ages learning to drive for whatever reason... a complete beginner, had lessons before, need a PASS PLUS course or simply looking for a refresher lesson. Fast progress is always encouraged to those who have natural ability. Simply get in touch and take it at your own pace. We also have a Polish speaking driving instructor available. Enjoy a swift, safe, and effortless drive with confidence and full support. At Licence To Drive School Of Motoring, based in Sutton-in-Ashfield, we offer top-class driving lessons, refreshers, and Pass Plus courses. For more than 20 years we have encouraged brand-new and advanced drivers to develop their skills, while treating driving as an activity to enjoy. Our polite, patient service offers an unmatchable level of support, and always listen to clients who are struggling. 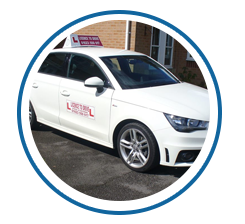 Contact us, in Sutton-in-Ashfield, Nottinghamshire, for more about the driving tuition and Pass Plus courses offered by our fully qualified driving instructor. Monday - Sunday, 8:00 a.m.-8:00 p.m.